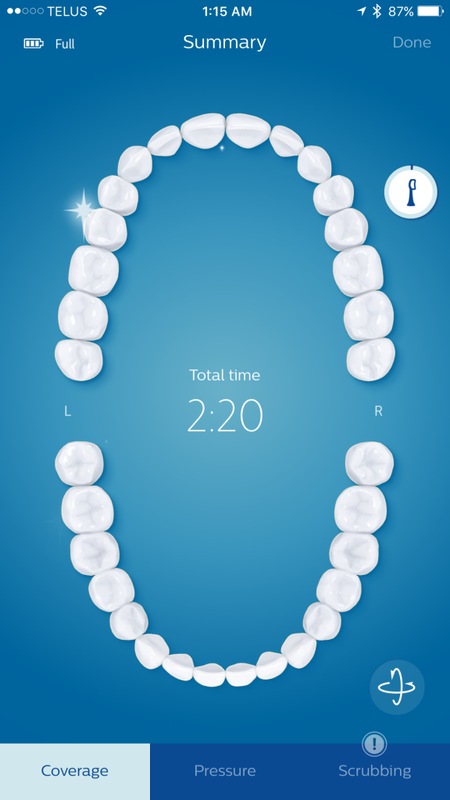 Smart Brushing with Philips Sonicare. When I was a child, I was quite familiar with the dentist’s office. For some reason, my baby teeth had long roots and I had to get every single one removed at the Dentist Brisbane. It was scary, a bit painful and definitely not enjoyable. You can bet I made it a point to take care of my teeth to avoid more visits. Flash forward to the present and I’m still doing the same thing. I’ve been told that I don’t smile with my teeth often. I guess I feel a bit awkward when I do. Plus, my teeth aren’t as perfect or as straight as I’d like but, I do want to make sure they are clean, healthy and white. 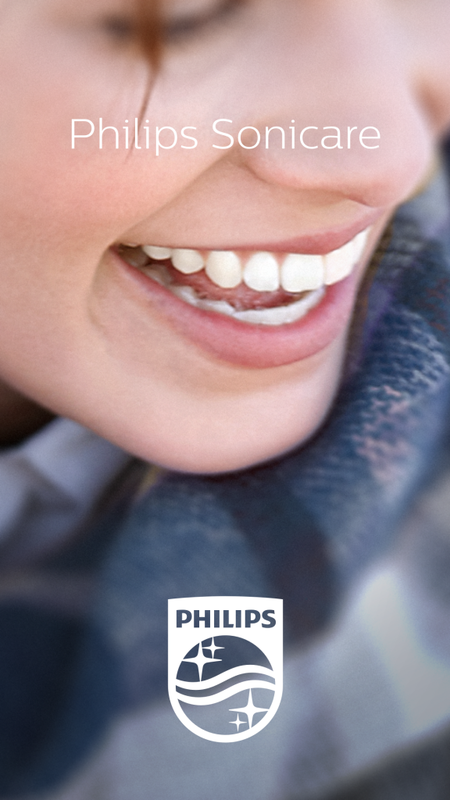 I’m achieving all those goals with the help of Philips Sonicare. 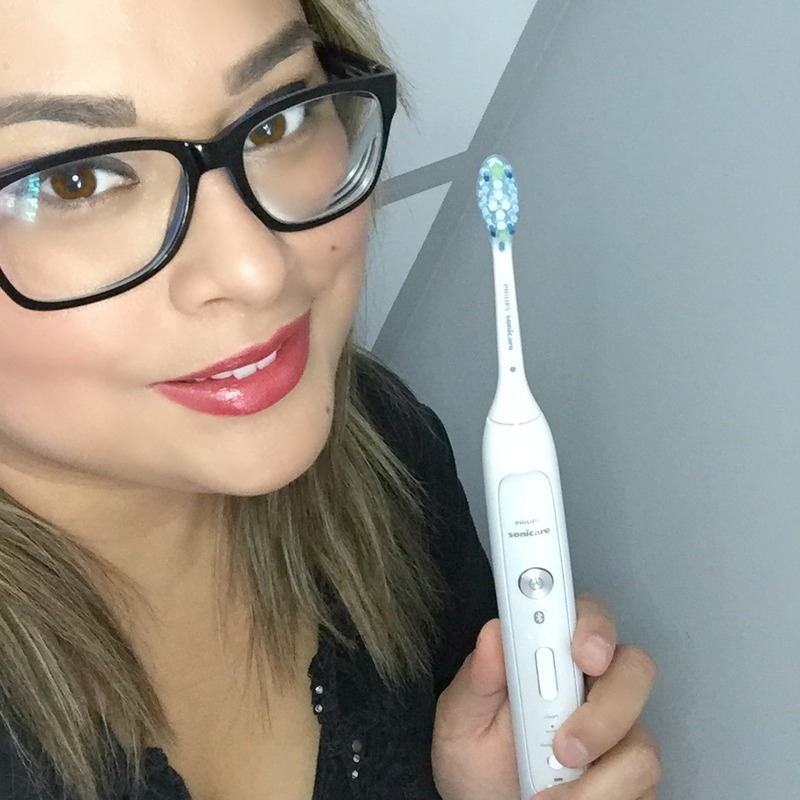 I’ve always been a fan of Sonicare brushes but, they’ve released their first-ever connected power toothbrush for adults and it’s changing the game. 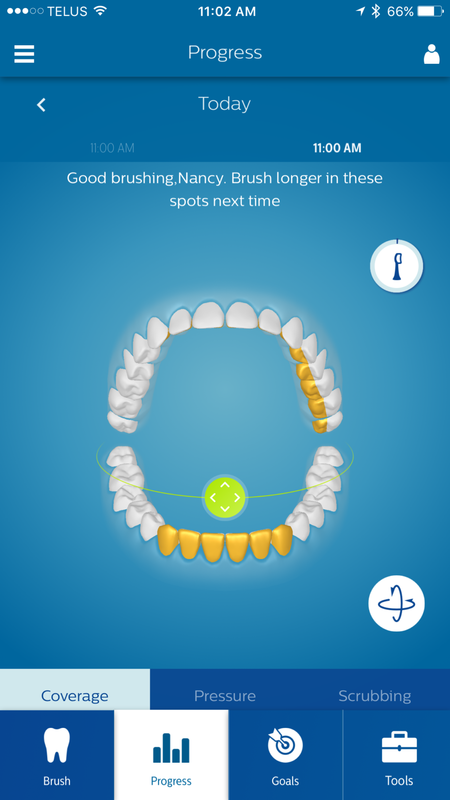 A toothbrush that is smart and connected and will help you get the best brush, every time. It’s changed how I attack my oral care in the best way possible. Taking care of our teeth can prevent more serious dental complaints or general health problems that with time, may occur. That is why I visit my dentist regularly and keep up with dental cleanings. While visiting the dentist is not my favourite thing to do, I make sure to maintain good dental health so I can avoid more frequent visits. This girl right here has been cavity-free for 33 years! My dentist has complimented my teeth and says they are generally very clean but, he always mentions that I miss some areas in my mouth. It is in the usual areas towards the back of the mouth and the bottom front. He always reminds me to try not to miss them. 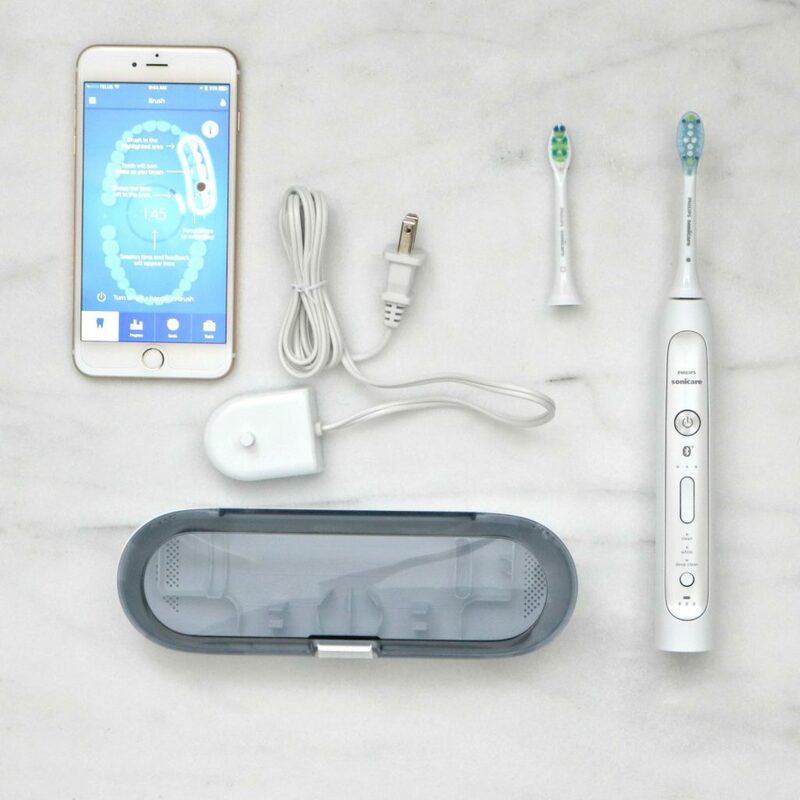 The NEW Philips Sonicare FlexCare Platinum Connected now comes with Bluetooth wireless technology that tracks your brushing. 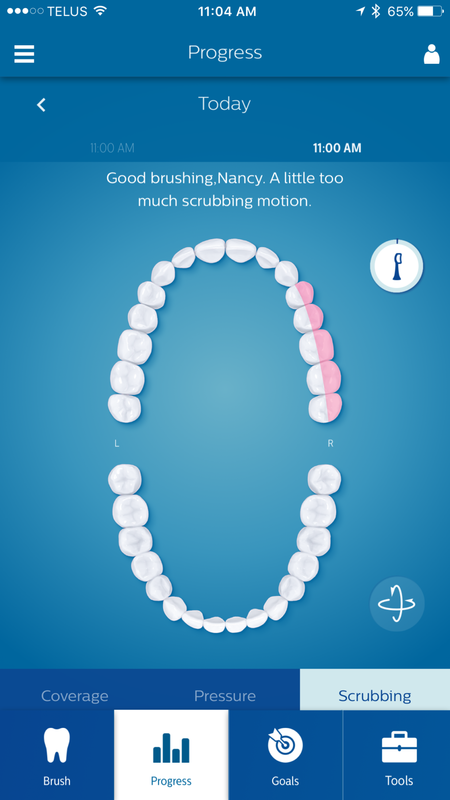 It uses 3 built-in sensors which measure your brushing location, brushing pressure, and brushing technique. The brush has 3 brushing modes, clean, white and deep clean and I’ve been loving the white and deep clean. Both settings just makes you feel so fresh and I’m not going to lie, I run my tongue across my teeth like in all of those commercials. It really does feel THAT clean. 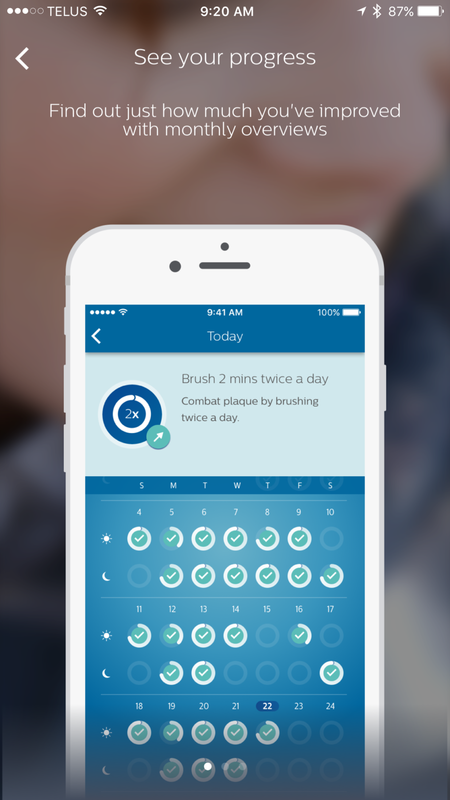 Once you download the Philips Sonicare app and pair your brush, you’re good to go. It’s so simple, all you have to do is turn on the brush and have your Bluetooth enabled. The real-time feedback helped me to see the spots that I was missing and adjust how and where to brush for a more effective clean with better results. I discovered that I tend to use a bit too much motion in certain parts of my mouth and that my dentist was right. I do miss certain spots which are common. Now I know where I am missing and I think my dentist will be happy next time I visit. 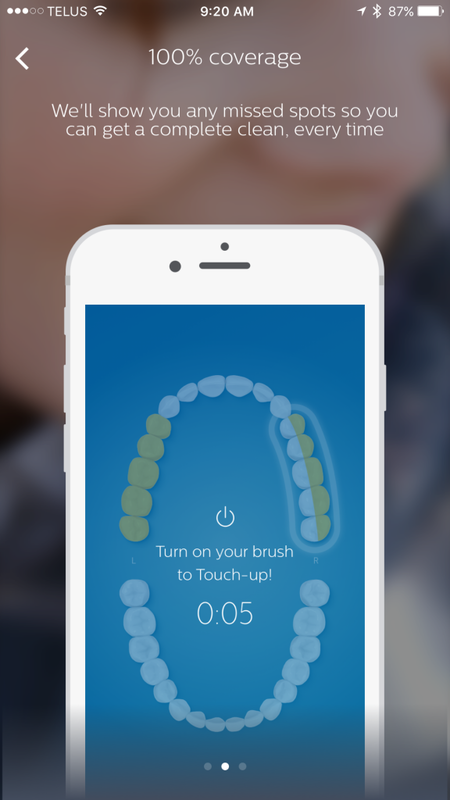 Another cool feature is the toothbrush’s Smart Brush Head alerts you when you need to replace your brush head. That way, you will always get the best results you can. It lists approximately how many more “brushes” or “sessions” the brush head has left. The kit comes with a handle, the InterCare Brush Head and also includes an AdaptiveClean Brush Head. The carrying travel case is perfect to take your Sonicare brush with you wherever you go. Since I travel often, this is perfect to be able to stow away and I’ll be able to keep up with my dental care. I’ve been using the FlexCare Platinum Connected for almost a month and I can feel the difference. It is much different than brushing manual and it feels like it really is removing more plaque. 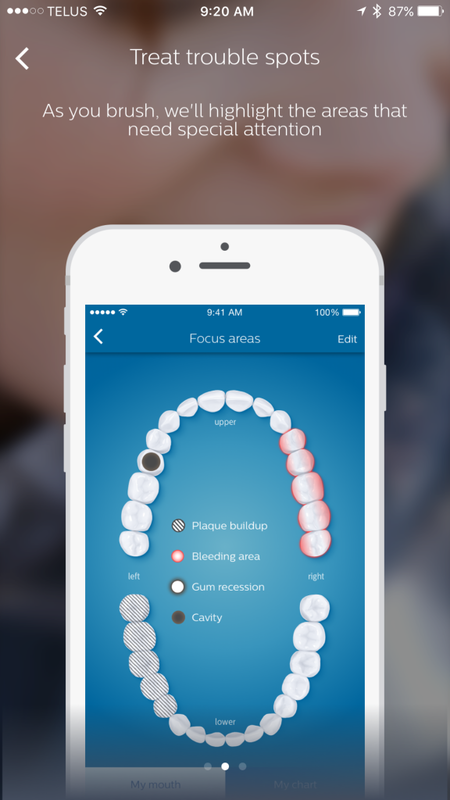 Through the app, I set some goals to floss more, scrape to avoid bad breath and rinse more. What I love the most about seeing my brushing in real-time is that it not only tells me where I’ve missed but, lets me go back and touch up what I missed. Once my brushing session is over, it asks me if flossed, scraped and rinsed. It gives me a reminder to do so and helps me to achieve the goals that I have pre-set through the app. It even lets you earn points for achieving your goals. It’s a great incentive. AdaptiveClean Brush Head is the only power toothbrush head with flexible rubberized sides. The Gel cushion gently absorbs excessive pressure on your gums and teeth for your best cleaning experience every day. 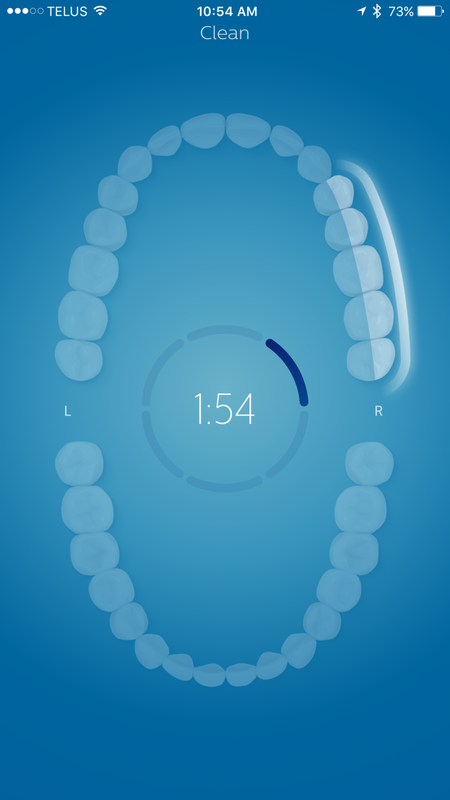 One of the coolest features is that you can prepare progress reports for your dentist! 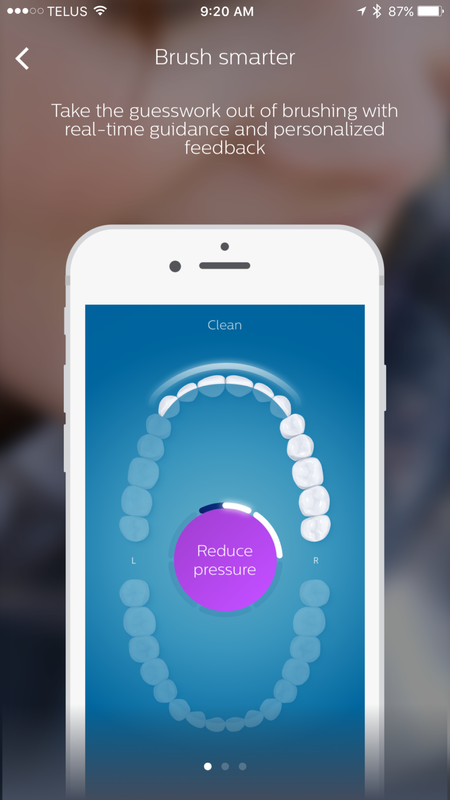 You can share your oral health activity with them and keep up with your dental appointments too. It is a tool that is connected in the best possible way because it helps your dental health. Plus, what is the one thing you always have on you? Your phone. I may not be completely in love with my smile but, I do love that I can keep my teeth healthy. That alone is making me smile with my teeth more often. 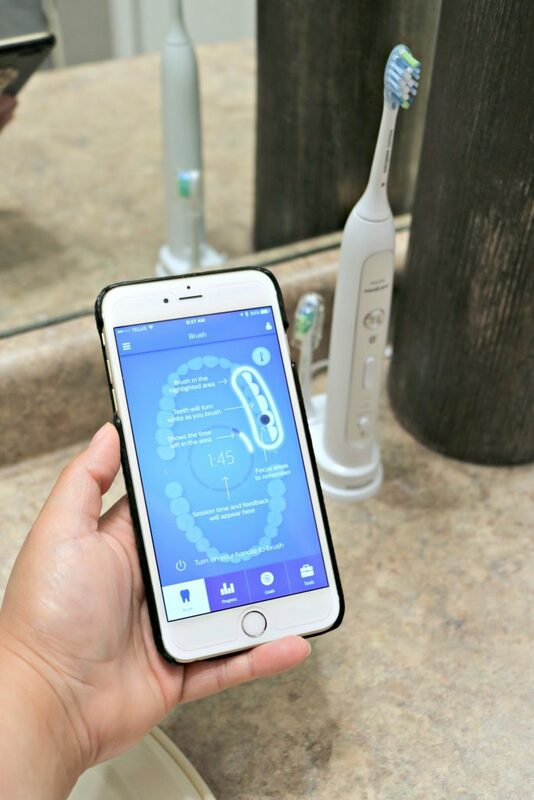 This technology is innovative and if you’re going to invest in an electric toothbrush, let it be the Philips Sonicare FlexCare Platinum Connect. They even have a similar brush, the Sonicare for Kids Connected that encourages them to keep up with their brushing too. 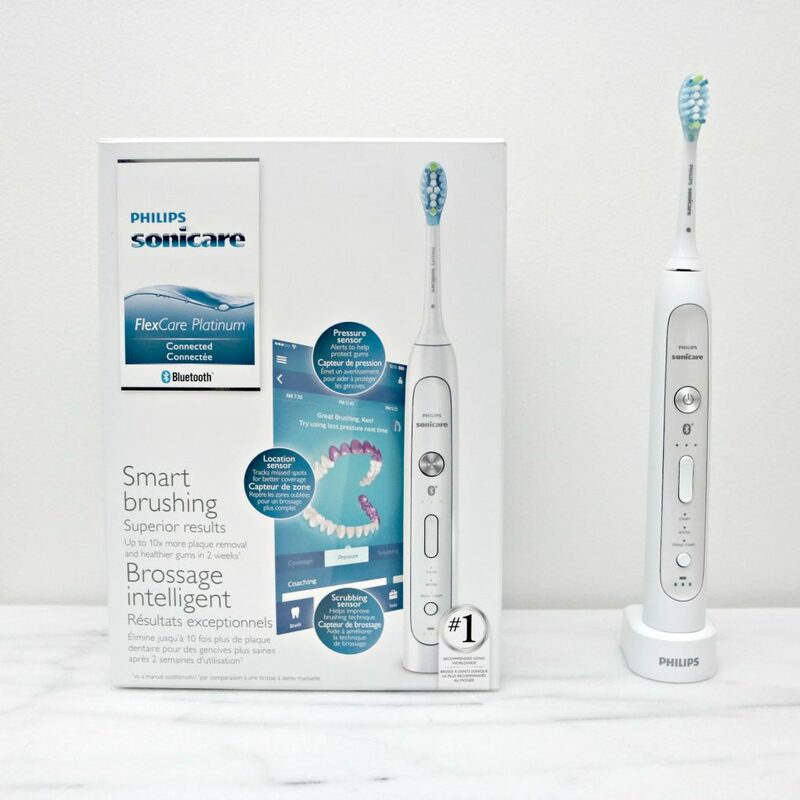 The Philips Sonicare FlexCare Platinum Connect is available at major retailers including Amazon, Best Buy, London Drugs, Shoppers Drug Mart and Walmart. For more information, visit Philips Sonicare and connect with them on Facebook and Twitter. Note: This post was sponsored by Philips Sonicare but all thoughts and opinions are honest and my own. That is so cool! I need to replace my current electric toothbrush, it’s just too old. This one sounds absolutely fantastic! I love that it even has an app. Yep, it tells you where you missed, how hard you brush etc. I have a toothbrush similar to this but mine is not smart! I probably should get this one because I have enough teeth problems I could use all the help I can get. This toothbrush looks amazing! I am definitely going to have to look into getting one of these. It is awesome, you will love it! This looks like an amazing system. 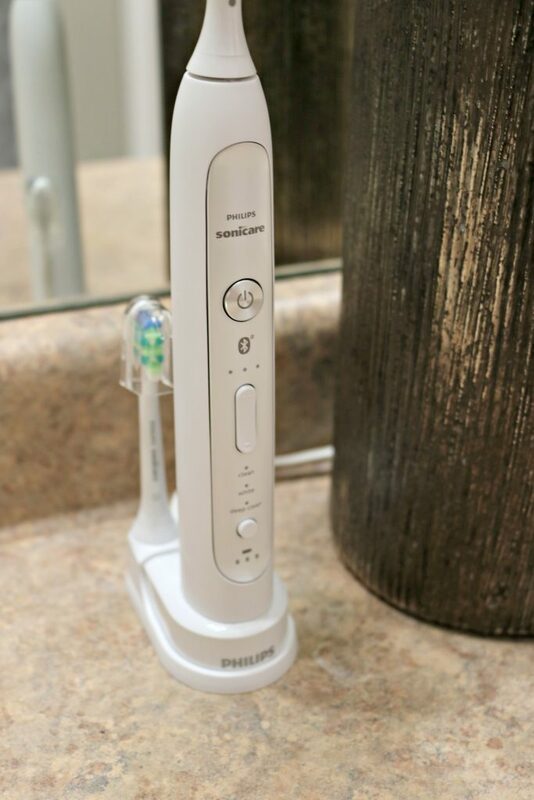 I need to pick up a Philips Sonicare Flexcare Platnium Connect.It looks like a game changer. Wow the Philips Sonicare Flexcare Platnium Connect looks like an amazing way to take care of your teeth. I will have to add it to my Birthday wish list. It is awesome, hope you get it. I cannot believe how the technology this product boasts is so up to date! What a mega cool way to take charge of your oral care. It is SO cool, especially if you love tech. Oh, wow! This has got to be the coolest toothbrush I have ever seen. I bet it would be great for older kids to use as well. Yes, for sure and they have one for little ones. I’m still using an old school toothbrush and would love to try something like this. I feel like it can do such a better job that I can do with a manual brush. It really does! I feel like it leaves my teeth super clean. Oh wow! This toothbrush is so cool! I would love to try this one!! I have been using an electric toothbrush for many years but this one seems to have all the bells, whistles and an app. It would be great to know how well I am brushing even though I would be afraid of the truth. It shows you where you miss. It is awesome. Okay – the app looks super cool. I wonder if you could have two people on the app? I’m sure my son would love his own “reports” (he’s just a little kid. I am not sure but, you might be able to find out on their site. I really need to get me one of these. That app is crazy cool! The app is SO cool. I have to take my oral-care more seriously and I feel like this brush could be a game-changer. Will definitely have to look more into it! I’ve always heard really great things about Sonicare – I need to get one. I am in LOVE with the app idea – how cool is this? this is probably much better than a regular colgate toothbrush lol! Totally amazing! Use your toothbrush as your own, or share it with others. Either way, it is recommended to change the brush head every 3 months for optimal oral hygiene. Hmm, not sure about sharing it but, the app will let you know when you need to change the brush head. I’ve been wondering how well this product works. I may have to go check it out again to see if it’s something we want to switch to. I’ve had my electric toothbrush for years and have a hunch it will give out soon. Adding this one to my wish list! This sounds like a great toothbrush. My husband loves these kinds of toothbrushes. I prefer the regular ones myself though. It really is a great one. This is great! I have always wondered how this would work for someone like me with Ulcerative Colitis. I have been told it really takes it’s toll on your teeth as well so it would be great to have a test run to see the difference. Hmm, I am not sure to be honest. My husband would love to have this toothbrush. He has always wanted an electric toothbrush. I will have to show him this one. Awesome, hope he likes it. What an awesome toothbrush! I definitely have to check this out – I love Philips too so I bet it’s awesome! The app is the best! Now that is one amazing toothbrush, how amazing that you get all that feed back from it! Helps to keep up with dental health. That is for sure! Wow that is one fancy toothbrush. I really want one now, it looks so cool. It is awesome, I will tell you that! That is one fancy toothbrush and I love it! Our dentist even told us that ones like that are much better than the tradition toothbrush. I have used sonicare since I was a kid. This one is awesome though! 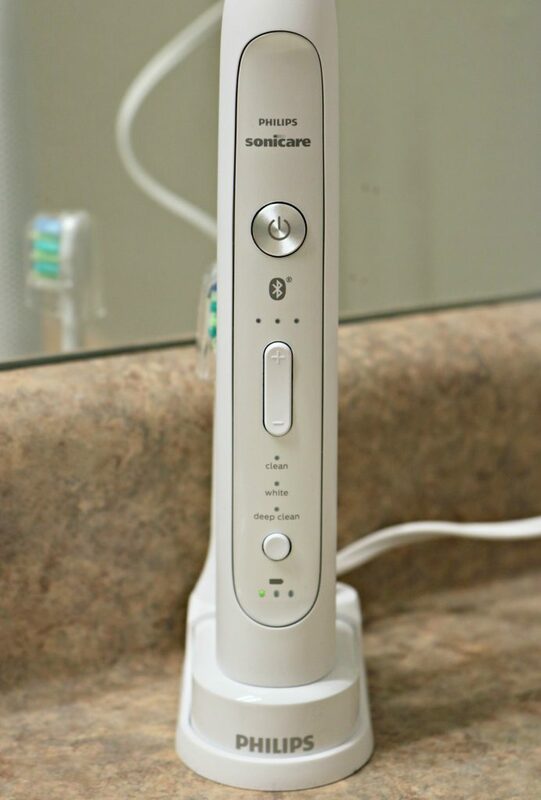 We have a smart home so looks like I need to add my smart sonicare toothbrush to the list for better brushing! Then you totally need to add this to your home! Taking care of our teeth is really a must. Good thing there are such kind of innovations. When technology and health meets. Thanks for the review, readers will learn more about how it really works. 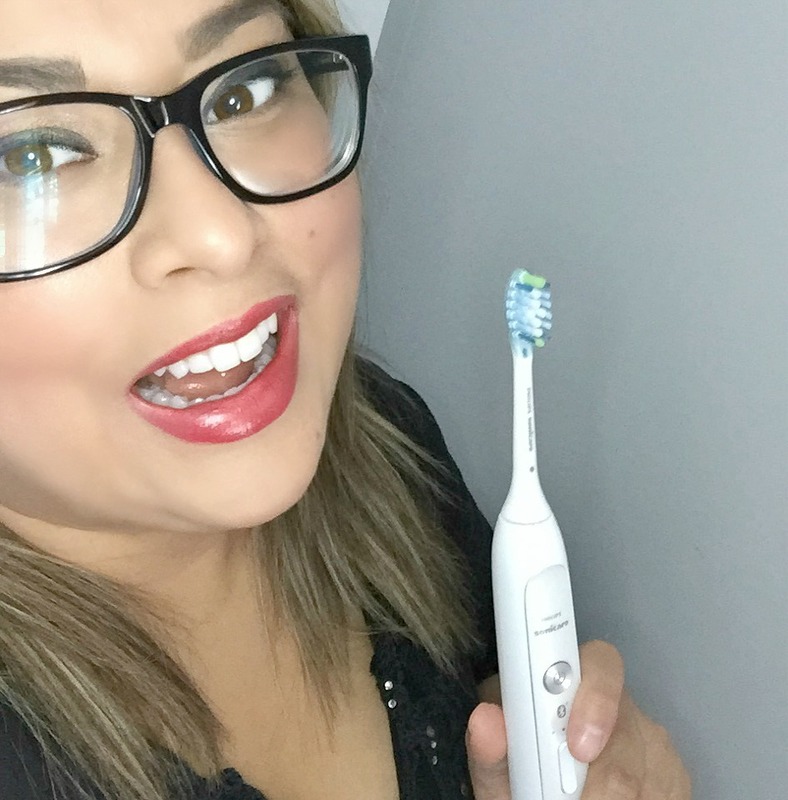 I have to admit–I just recently bought my first electronic toothbrush and now I’m totally hooked! I may have to look into this one for my next purchase! Oh my goodness, I want this toothbrush! I’m a clean freak when it comes to my teeth (just ask my family!) I’ll be looking into this soon : ) that’s awesome! This works perfectly for you then! What a great looking tooth brush!! I absolutely love that it comes with an app! It is a great teaching tool for kids! Woah, this is a legit toothbrush! I did not know something like this was out with a smart tooth brush, I wil have to look into it. Thanks! I’ve been thinking of getting one of these for a long time now. I think it is so awesome, just need to convince my husband now. Awesome, hope you get it! This is the first time I have heard of electric toothbrush. It is not yet commercialized in the Philippines. I wonder if it is available here since I haven’t seen something like it here. How long have you been using the electric toothbrush? Oh wow! Hmm, they have been around for decades! Pretty crazy but, AMAZING, right?